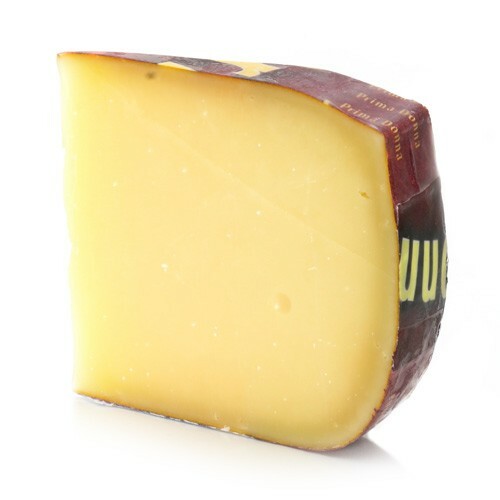 Prima Donna is a pasteurized, cow's milk cheese made in the style of a Dutch Gouda. Aged for 14-16 months, the cheese is dipped in wax. As one of our medium aged Gouda cheeses, it is semi-firm in texture. It has a rich ivory colored pate with small holes dispersed throughout with a rich and nutty flavor with undertones of caramel and salt.